One of the most explosive issues in sports right now is the NFL’s discipline of its players. Discipline has been inconsistent, the NFL is accused of seriously mishandling cases, and there is public outcry about some players’ conduct. The two-game suspension, and subsequent indefinite suspension, of former Ravens’ running back Ray Rice is reflective of many of the broken parts of this process. Although the process may be broken in many respects, and despite Rice’s reprehensible conduct, he still has rights. 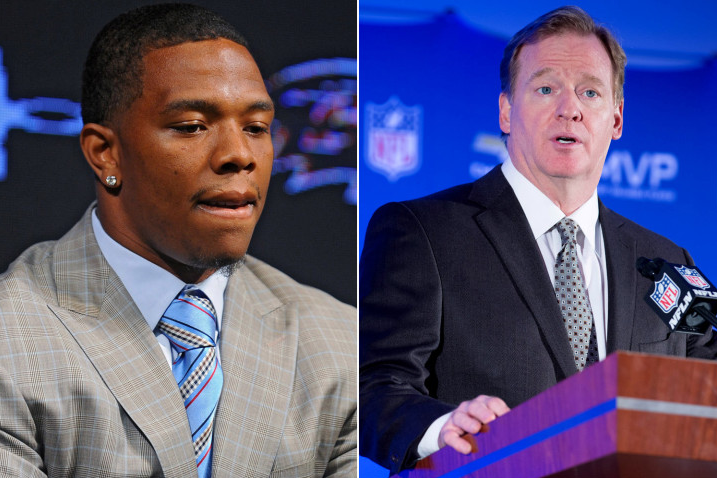 The commissioner of the NFL has twice suspended Rice for the same conduct. This is impermissible under governing NFL rules and the labor law principles of “industrial due process” and “industrial double jeopardy." The Domestic Violence, Arrest, and Release of the Video. On February 15, 2014, Ray Rice and his then-fiancée were arrested for domestic violence at the Revel Casino in Atlantic City. The police report indicated that Mr. Rice committed an assault by attempting to cause her bodily injury – “specifically by striking her with his hand, rendering her unconscious, at the Revel Casino.” TMZ obtained what is the now notorious video footage of Rice dragging his unconscious fiancée out of the elevator in which the attack occurred. Rice met with NFL Commissioner Roger Goodell on June 16, 2014 and, on July 24, 2014, Goodell announced that Rice would be disciplined with a two-game suspension without pay, including a fine for one game check from last season. Rice’s total discipline for the domestic violence incident was a two game suspension and loss of $529,411.24. Criticism of the Discipline and Release of the Second Video. The discipline Goodell imposed on Rice was widely criticized as being too lenient. A Time magazine article referred to the criticism of Goodell as “intense.” An ESPN SportsNation poll indicated that 65% of respondents believed that Ray Rice’s suspension was too lenient, 30% believed it was appropriate, and 5% believed it was too harsh. Well-known sports and political commentator Keith Olbermann sharply decried “sports sexism” as being the reason the NFL suspended Rice for a mere two games. A group of three U.S. Senators wrote a letter to Goodell and the Ravens demanding a tougher penalty and accusing them of having “a disturbingly lenient, even cavalier attitude towards violence against women.” Goodell, however, defended his punishment, pointing towards Rice’s lack of prior offenses and strong background in the community. The National Football League Players Association (“NFLPA”) appealed the indefinite suspension the evening of September 16, 2014. The NFLPA released a statement stating that “’[u]nder governing labor law…an employee cannot be punished twice for the same action when all of the relevant facts were available to the employer at the time of the first punishment.’” The NFLPA is correct and this principle is an ironclad argument here. The NFL Constitution affords the commissioner broad disciplinary authority over players, including for “conduct detrimental to the welfare of the League or professional football.” NFL Constitution, Article VIII, § 8.13(A). Article 46, § 1 of the Collective Bargaining Agreement also makes clear that the commissioner may issue fines or suspensions for conduct on the playing field or “conduct detrimental to the integrity of, or public confidence in, the game of professional football.” The CBA does contain a “one penalty” provision but that provision only forbids double punishment by the league and the team. Art. 46, § 4. It is silent as to a double penalty by the commissioner alone. Some have suggested that Rice may, perhaps, be punished twice by the NFL because there is no explicit prohibition against double jeopardy. Others have suggested that Rice is not entitled to due process because the NFL is not a government entity. At least one commentator has correctly stated that the “the NFL Constitution should be read only to allow penalties to be lessened in severity, not increased” – but for the wrong reasons. Neither the NFL Constitution nor the CBA contain an explicit provision either permitting or prohibiting an increase in discipline.This is a somewhat surprising instance of either poor drafting or intentional vagueness.The NFL Constitution discusses altering imposed discipline as follows, "The Commissioner shall have authority to change, reduce, modify, remit, or suspend any fine, suspension, or other discipline imposed by the Commissioner and not requiring approval of the member clubs." NFL Constitution, Article VIII, § 8.13(E). As can be seen, there is express authority to reduce imposed discipline but there is no explicit authority to increase discipline. In contrast, the argument that the commissioner has the power to increase imposed discipline relies on considerably vaguer terms: “change” and “modify.” As a matter of simple intuition and reasonableness, the NFL clearly knew how to be specific in drafting its constitution, stating that the commissioner may “reduce” discipline. If it wanted to reserve the authority to increase discipline, it very well could have, and should have, specifically stated that the commissioner retains the authority to “increase” discipline as well. It did not. For these reasons alone common sense dictates that the commissioner has no such authority. This is also supported by basic principles of textual interpretation. It is an old, and rather intuitive, maxim that surrounding words explain or amplify those it surrounds. This concept was expressed in the legal maxim noscitur a sociis: “it is known from its associates,” or “associated words bear on another’s meaning.” Reading Law: The Interpretation of Legal Texts 195 (Scalia & Garner 2012). Supreme Court Justice Antonin Scalia and Bryan Garner explain that “[w]hen several nouns or verbs or adjectives or adverbs – any words – are associated in a context suggesting that the words have something in common, they should be assigned a permissible meaning that makes them similar. The canon especially holds that ‘words grouped in a list should be given related meanings.’” Id. Therefore, common sense and basic principles of textual construction make clear that the commissioner has no power to increase discipline after final discipline is imposed. Finally, to the extent there could be any doubt as to the impermissibility of punishing Rice twice for the same offense, established principles of labor law preclude it. There is an established family of concepts referred to as “industrial due process.” These concepts are “implicit in the labor contract.” Importantly, “industrial double jeopardy enshrines the idea that an employee should not be penalized twice for the same infraction.” Zayas v. Bacardi Corp., 524 F.3d 65, 69 (1st Cir. 2008) (emphasis added). Commissioner Goodell initially suspended Ray Rice two games for domestic violence on July 24, 2014. On September 8, 2014 the commissioner suspended Rice for the same offense and same conduct. The only change was TMZ’s apparent purchase and release of the video showing the conduct that the NFL already knew occurred and major public backlash. This is prohibited under the doctrine of industrial double jeopardy. It is clear that the NFL’s second suspension of Ray Rice finds no support in the NFL Constitution or the CBA. Further, the second suspension violates fundamental principles of industrial due process. In the wake of ever-increasing pressure on the NFL to improve its policing of the Personal Conduct Policy, the NFL’s mishandling of the Ray Rice investigation, the September 17 arrest of a player for aggravated assault, and teams explicitly or implicitly admitting to issuing insufficient or improper discipline, it is clear that the NFL needs to overhaul its policies and policing of its players. Violating a player’s industrial due process rights is not a good start to fixing an obviously broken system. For the sake of its players, their families, the fans, league sponsors, and the league itself, the NFL and NFLPA need to overhaul this process – and soon. As senior counsel in Joseph, Greenwald & Laake’s Civil Litigation practice group, Levi Zaslow focuses his practice on employment law, commercial and business litigation, government litigation, and appellate law. A skilled and experienced litigator, Levi enjoys the variety of work his fast-paced litigation practice provides—from drafting motions and conducting legal research, to taking depositions and performing at trial. http://articles.baltimoresun.com/2014-02-16/sports/bal-ravens-running-back-ray-rice-arrested-after-incident-in-atlantic-city-20140216_1_ray-rice-chad-steele-ravens. Interestingly, although various claims have been made regarding the existence and availability of the surveillance video capturing the actual punch and elevator altercation, this article from the Baltimore Sun, the day after the arrest, stated that the altercation “was recorded by video surveillance, according to a statement from police. Footage appeared to show both parties involved in a physical altercation.” Likewise, the City of Atlantic City Department of Police issued a news release stating that it reviewed the surveillance footage displaying a physical altercation. http://espn.go.com/espnw/video/11262101/insufficient-punishment (“Keith Olbermann explains how sports sexism let the NFL get away with suspending a wife-beater for two games when an on-field stomp got another player a five-game suspension.”). http://time.com/3072840/roger-goodell-ray-rice-suspension-nfl/#3072840/roger-goodell-ray-rice-suspension-nfl (“’If it’s a first offense, someone who’s had a strong background of being very responsible in the community, doing the right things and not violating other policies or anything else that reflect poorly on the NFL, then we would take that into account,’ said NFL commissioner Roger Goodell.”). Upon learning of conduct that may give rise to discipline, the League may initiate an investigation to include interviews and information gathering from medical, law enforcement, and other relevant professionals. On matters involving NFL players, the League will timely advise the NFLPA of the investigation and outcome. As appropriate, the employee will also have the opportunity, represented by counsel and/or a union official, to address the conduct at issue. Upon conclusion of the investigation, the Commissioner will have full authority to impose discipline as warranted. http://thesportsesquires.com/2014/09/10/clarifying-the-chaos-what-is-rea... (citing NFL CBA, Article 46, Section 2(d)). Ray Rice Discipline Brings to Light Poorly Drafted NFL Collective Bargaining Agreement, http://www.forbes.com/sites/darrenheitner/2014/09/11/ray-rice-discipline-brings-to-light-poorly-drafted-nfl-collective-bargaining-agreement/. “Of course, the Commissioner could argue that the NFL Constitution grants him the power to change or modify any discipline imposed, and that he was simply increasing Rice’s original discipline.” http://thesportsesquires.com/2014/09/10/clarifying-the-chaos-what-is-really-going-on-with-the-nfl-personal-conduct-policy/#_ednref8. “Make smaller or less in amount, degree, or size.” http://www.oxforddictionaries.com/us/definition/american_english/reduce. “Cancel or refrain from exacting or inflicting (a debt or punishment).” http://www.oxforddictionaries.com/us/definition/american_english/remit. “Temporarily prevent from continuing or being in force or effect.” http://www.oxforddictionaries.com/us/definition/american_english/suspend. “Make or become different.” http://www.oxforddictionaries.com/us/definition/american_english/change. “Make partial or minor changes to (something), typically so as to improve it or to make it less extreme.” http://www.oxforddictionaries.com/us/definition/american_english/modify. See also Black’s Law Dictionary 1095 (9th ed. 2009) (Modification: “1. A change to something; an alteration”; “2. A qualification or limitation of something”). Black’s Law Dictionary 1095 (9th ed. 2009). Zayas v. Bacardi Corp., 524 F.3d 65, 68 (1st Cir. 2008) (citing 1 Tim Bornstein et al., Labor & Employment Arbitration § 15.01 (2d ed.1997); Ray J. Schoonhoven, Fairweather’s Practice & Procedure in Labor Arbitration § 13, at 374 (4th ed.1999)). Zayas v. Bacardi Corp., 524 F.3d 65, 68 (1st Cir. 2008). See also 48A Am. Jur. 2d Labor and Labor Relations § 2389. In fact, this principle is so strong that the First Circuit questioned whether parties to a CBA may even expressly agree to waive industrial due process concerns. Id. at n. 2. The NFL and NFLPA have no express agreement to waive industrial due process. Zayas v. Bacardi Corp., 524 F.3d 65, 69 (1st Cir. 2008). Numerous other sources have recognized this principle that, under a collective bargaining agreement, an employee may not be disciplined twice for the same transaction. E.g. 51A C.J.S. Labor Relations § 382 (Where the first sanction has become final, “industrial double jeopardy enshrines the idea that an employee should not be penalized twice for the same infraction.”); Local Union No. 1, Bakery, Confectionery & Tobacco Workers Int'l Union, AFL-CIO-CLC v. Interstate Brands Corp., 2000 WL 126798 (N.D. Ill. Feb. 1, 2000) (noting that “the arbitrator found Plaintiff's discharge could not stand because Defendant had already chosen to punish him through a written warning. Under the principle of double jeopardy-prohibited, in the arbitrator's view, as a violation of the employee's right to industrial due process—the employee could not be punished for the same offense twice.”). See also In re City of Kenosha, 76 Lab. Arb. Rep. 758, 759 (1981) (In industrial relations, the doctrine of double jeopardy means that if an employe[e] is punished for a specific act, he is entitled to regard such punishment as final for that particular misconduct.”) and In re Int'l Harvester Co., 16 Lab. Arb. Rep. 616 (1951) (“I conclude that if Hall was punished twice for the same offense or offenses the second penalty must be set aside.”) (cited in Montgomery County v. Krieger, 110 Md. App. 717, 731-32, 678 A.2d 621, 628 (1996)); http://laborandemploymentarbitrator.com/double_jeopardy_in_labor_arbitration. Anheuser-Busch Disappointed, Concerned, Dissatisfied with NFL, http://profootballtalk.nbcsports.com/2014/09/16/anheuser-busch-disappointed-concerned-dissatisfied-with-nfl/; Radisson Suspends Sponsorship Of Minnesota Vikings Over Adrian Peterson Reinstatement: More Fallout To Come, http://www.forbes.com/sites/rogergroves/2014/09/16/radisson-suspends-sponsorship-of-minnesota-vikings-over-adrian-peterson-reinstatement-more-fallout-to-come/. NFL Opens Independent Rice Inquiry, http://espn.go.com/nfl/story/_/id/11505460/nfl-launching-independent-investigation. Jonathan Dwyer Arrested, Deactivated, http://espn.go.com/nfl/story/_/id/11544985/jonathan-dwyer-arizona-cardinals-arrested-two-counts-suspicion-aggravated-assault. Adrian Peterson Put on Exempt List, http://espn.go.com/nfl/story/_/id/11543234/minnesota-vikings-admit-mistake-bar-adrian-peterson-all-activities (“Admitting they ‘made a mistake,’ the Minnesota Vikings changed course Wednesday as running back Adrian Peterson was placed on the NFL's exempt list, barring him from all team activities until his child abuse case is resolved.”); Greg Hardy Placed on Exempt List, http://espn.go.com/nfl/story/_/id/11543641/greg-hardy-carolina-panthers-expected-placed-exempt-list; N.F.L. Domestic Violence Policy Toughened in Wake of Ray Rice Case, http://www.nytimes.com/2014/08/29/sports/football/roger-goodell-admits-he-was-wrong-and-alters-nfl-policy-on-domestic-violence.html?_r=0 (I didn’t get it right. Simply put, we have to do better. And we will.”). As senior counsel in Joseph, Greenwald & Laake’s Civil Litigation practice group, Levi Zaslow focuses his practice on Employment Law, Commercial Litigation, Government Litigation, and Appellate Litigation in Maryland and the District of Columbia. A skilled and experienced litigator, Levi enjoys the variety of work his fast-paced litigation practice provides, including drafting motions and conducting legal research, taking depositions, and performing in court and at trial. The JGL Law Blog is made available by the Firm and/or the law firm publisher for educational purposes only as well as to give you general information and a general understanding of the law. The JGL Law Blog is not designed to and does not provide specific legal advice. Use of, or comments on, this Blog does not create an Attorney Client Relationship with the Firm or any of the authors of the Blog Posts. This blog is for general informational purposes only. Joseph, Greenwald & Laake, PA is a law firm and some of the information on the blog relates to legal topics. Joseph, Greenwald & Laake, PA does not offer or dispense legal advice through this blog or by e-mails directed to or from this site. By using the blog, the reader agrees that the information on this blog does not constitute legal or other professional advice and no attorney-client or other relationship is created between the reader and Joseph, Greenwald & Laake, PA or its attorneys. The blog is not a substitute for obtaining legal advice from a qualified attorney licensed in your state. The information on the blog may be changed without notice and is not guaranteed to be complete, correct or up-to-date. While the blog is revised on a regular basis, it may not reflect the most current legal developments. The opinions expressed at or through the blog are the opinions of the individual author and may not reflect the opinions of the firm or any individual attorney. The JGL Law Blog should not be used as a substitute for competent legal advice from a licensed professional attorney in your state. To ensure compliance with requirements imposed by the U.S. Internal Revenue Service in Circular 230, we inform you that any tax advice contained on this site (including any links provided) is not intended or written to be used, and cannot be used, for the purpose of (i) avoiding penalties under the U.S. Internal Revenue Code or (ii) promoting, marketing, or recommending to another party any transaction or matter addressed in this communication.